At the ” One Belt, One Road” forum held in Beijing in May 2017 – with much pomp – the absence of the Indian Prime Minister Narendra Modi was associated by almost all world mass media with India’s disagreement with the conditions for the establishment of the China-Pakistani economic corridor (CPEC), which has a key role in the implementation of OBOR. According to India, it undermines India’s sovereignty, as it implies the construction of infrastructure and joint activities of China and Pakistan on the disputed territory of Gilgit-Baltistan – part of Kashmir. But that is not the only problem. The attitude of the Indian leadership towards the ambitious Chinese initiatives the ” Silk Road Economic Belt ” and the ” 21st Century Maritime Silk Road ” (SREB and MSR-21) – elements of OBOR – has evolved. M. Singh, during his premiership, waited to take a stance either way, which gave rise, nevertheless, to a discussion among the Indian political and expert community. His representatives, on the one hand, expressed fear that India might be marginalized and even isolated if it did not take advantage of the benefits that were contained in them, especially in terms of improving infrastructure. On the other hand, the projects were alarming in connection with the legalized implementation of China into the Indian Ocean in the case of their support by the coastal countries. The pragmatic and energetic politician Narendra Modi, who came to power in May 2014, noticed the coincidence of the Indian vision of the goals and needs for the development of the maritime economy with the idea of ​​the MSR to expand various ties from the Indo-Pacific region to East Africa and the Mediterranean in conditions where India enters neither into the TPP, nor into the Transatlantic Trade and Investment Partnership (TTIP). In light of this, the Chinese project has become a very attractive alternative. And as a first step, Modi considered it possible to support Xi Jinping’s proposal to create a China-Bangladesh-Myanmar-India corridor to connect the land-based SREB with the MSR. And in December 2014, India joined the AIIB. But the situation in the Indo-Ocean zone has changed, as have Indian-Chinese relations, especially in terms of ​​strategy. China actively expanded its spheres of influence by embarking on the construction of the first foreign military base in Djibouti, gradually introducing regional floating platforms and submarines into the region, and acquired several strong points that can quickly be transformed into military bases. And in January 2017, it conducted naval maneuvers in the open waters of the Indian Ocean for the first time, which in principle does not contradict the laws of the World Ocean, but does have a certain strategic significance. These factors (and they can be pursued further) could not but convince Modi to take a tougher stance. India’s leaders repeatedly pointed to the self-interested Sinocentrism and diplomacy of the “great power” of the Chinese project. In their opinion, it was adopted without discussion and consultations with future participants. That’s for one thing. For another, the Indians believed that Beijing did not take into account the foundations of universally recognized institutional, regulatory, legal, financial and other rules, as well as general cultural and civilizational links already extended across the Asian space. Thirdly, for some reason, neighbors and other Asian countries have forgotten that India is one of the initiators and participants of regional, strategically significant integration projects. Some of them were taken long before the Chinese initiatives. Among them is a trade-transit corridor from the modernized Chabahara (Iran) to Afghanistan, to which India contributed and built the Zaranj-Delamar highway in 2009. And an international multi modal transportation (INSTC), initiated in September 2000 by India, Iran and Russia. Later, Turkey and the republics of Central Asia joined it, which makes it possible to connect it to Europe via the Persian Gulf. 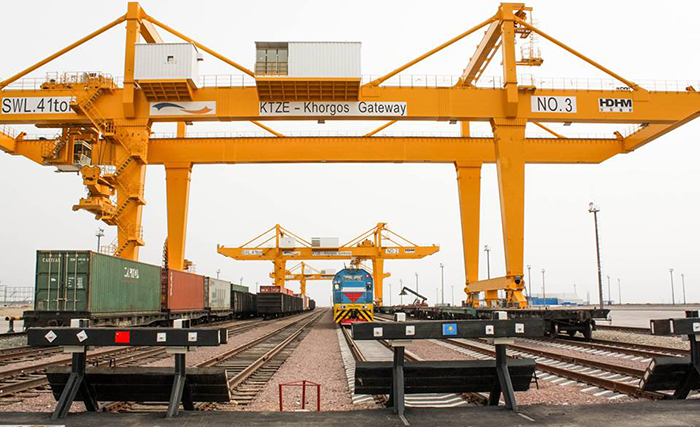 In 2015, the relevant transit and customs agreements between the project participants were confirmed. 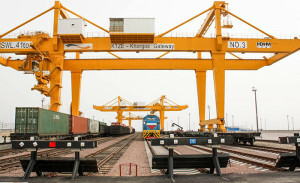 In March 2016, India joined the Ashgabat transport agreement of 2011 in Oman, Iran and a number of Central Asian republics. In Hindustan, this is organization on the Andaman archipelago a sea center with a dry dock and shipbuilding facilities, and in Sri Lanka – creation of an oil hub in Trincomale, etc. In general, India expects to implement other projects in South Asia worth $5 billion. Interesting initiatives were put forward in 2013-2015 to expand cultural and infrastructural cooperation, such as “the Monsoon”. “The Spice Route”, “Cotton Routes”, the Sagar Mala project for the creation of port facilities and maritime infrastructure. As it turned out, India lacked not so much systemacity, as much Chinese aggressiveness, broad propaganda and advertising, and most importantly – significant funding for their implementation. China could not help reacting to criticism, and was forced to make more compromises in tone and content in the changes in its position. Thus, the need for intensive dialogue with partners, and changes in the image and the nature of the partnership with China, taking on not-insignificant risks related to problems of a religious and ethnic character, terrorism, extremism, the change of government in one state or another (say, in Myanmar or Sri Lanka), the rivalry of geopolitical interests. All this began to come from experts at conferences in 2015 in Cambridge, Ulan Bator, in Delhi at the “2017 and 2016 Raisina Dialog” forums, etc. In Chinese media, the idea of ​​integrating Indian initiatives with the Chinese into a common project was suggested, which did not please Delhi. It is not by chance that in the last months of the Obama Administration, India began to noticeably draw closer to Washington and support the American policy of restraining China in one way or another. The military logistics agreement (LEMOA) and a whole chain of military-technical arrangements were signed after 12 years of negotiations. As a result, first, India received the status of “main partner” in the defense field, which opened the door to the purchase of US military technologies and equipment for its production, and at the level of the NATO countries and Israel, no less. Second, it has become possible to get a decommissioned, but operating US aircraft carrier and “Super Hornet” deck aircraft for it at dumping prices. Third, with the aim of reviving the somewhat stalled Indian-American “Defense Initiative in Technology and Trade”, new joint working groups on the most high-tech naval and air-force systems are being created; systems of reconnaissance, satellite surveillance and battlefield control; systems of chemical and biological protection; and special systems. Finally, in February 2017, an agreement was signed, according to which in Gujarat, in one of the modern docks, the warships of the 7th US Navy will be repaired. In order to counter the OBOR, Modi put forward the plan of the Asian-African Sea Corridor of Growth on May 23, (AAGC) with the support of Japan, while speaking at the annual general meeting of the African Development Bank (AfDB) in the capital of Gujarat in Gandhinagar. The proposal for AAGC was first mentioned in a joint declaration published by Prime Ministers Modi and Shinzo Abe in November 2016. Now it is presented as a “separate initiative”, stemming from a consultative process that would be profitable and acceptable for the banking sector, as opposed to the “government-funded model” of the OBOR project. The idea of ​​the AAGC is to allow the countries of Asia and Africa to further integrate and collectively act as a global competitive economic bloc. Japan’s contribution to the project will consist of the most up-to-date technologies and opportunities for creating high-quality infrastructure, while India will use its experience in Africa, as well as develop ports within the framework of the Sagar Mala program. It seems Delhi is throwing down the gauntlet to Beijing’s rule in Eurasia.